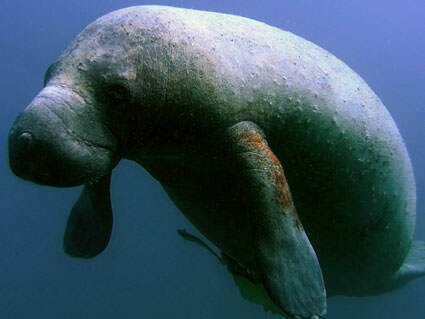 A manatee, also known as a 'seacow.' These air-breathing herbivores are listed as a federally endangered species. 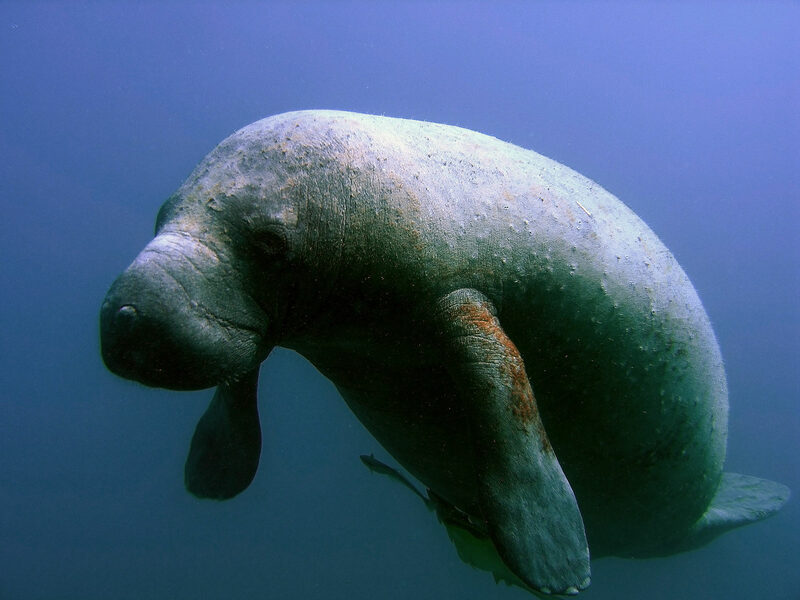 Manatees are slow-moving and therefore unable to swim quickly away from boats; this often results in collisions that may cause injury or death to the creatures. In areas that are known manatee habitats, "no-wake" signs are posted requiring boaters to slow down and produce only minimal wake.